Health-technology startup Medlife International Pvt. Ltd said on Monday that it had recorded a revenue run rate of Rs 1,000 crore (around $144 million) by the end of 2018-19 and expected its overall sales to touch Rs 1,500 crore over the course of the new financial year. While run rate does not translate to the actual revenue of a company, it helps project future earnings. Medlife did not disclose its exact revenue numbers. Bengaluru-based Medlife said in a statement that the growth of its pharmacy segment had tripled while its lab vertical contributed Rs 40-45 crore to its overall revenue for 2018-19. Metro cities accounted for 70% of its earnings, it added. “While pharmacy remains our topline contributing to 75% of the revenue, the lab segment is also showing steady growth,” said Tushar Kumar, founder and chief executive officer of Medlife. “We also hope to double our run rate in the coming financial year and achieve a steady growth year-on-year,” he added. Medlife claimed its online pharmacy currently executes 20,000 deliveries daily across 29 states in the country. Its lab services are currently operational in Bengaluru, Mumbai, Delhi-NCR, Kolkata, Jaipur, Pune, Kanpur, Lucknow, and Hyderabad. 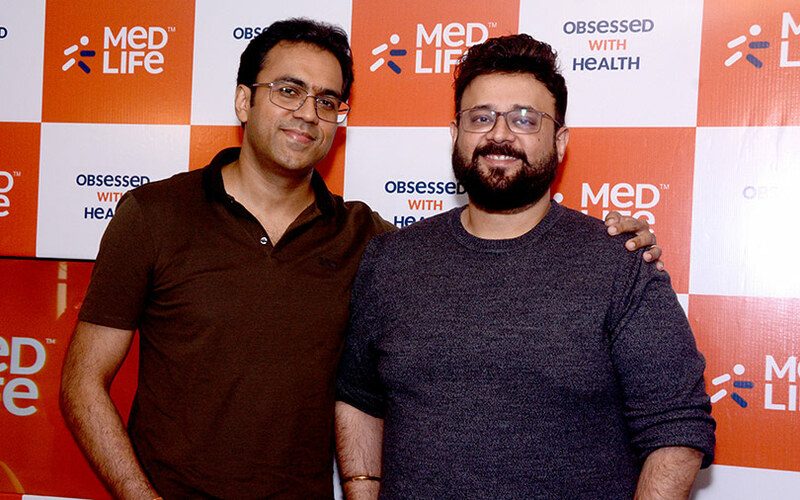 The company launched its first offline pharmacy store in Mumbai and its first diagnostic lab in Bengaluru in March 2018. Medlife recently received an infusion of $17 million from the family trust of its founder Tushar Kumar. Prasid Uno Family Trust pumped in the money across three tranches over the last two months. Founded in 2014 by Kumar and Prashant Singh, Medlife is a self-funded online platform for healthcare services. The duo also runs Tulip Lab Pvt. Ltd, a company which manufactures herbal and allopathic medicinal products. Kumar hails from a family of pharmaceutical entrepreneurs and was briefly involved in the family-run Alkem Laboratories. Prasid Uno Family Trust is a shareholder in Alkem Laboratories. In an interaction with TechCircle in 2017, Kumar had said the company was planning to invest $30 million for business expansion. Medlife started out as an online platform for drug delivery. It gradually diversified to offer a variety of services including online doctor consultation and laboratory services. The firm has a single consumer-facing mobile app for accessing all these services. In January this year, Medlife acquired Mumbai-based digital healthcare platform and home diagnostics services company MedLabz for an undisclosed amount. Medlife competes with Mumbai-based PharmEasy, Chennai-based Netmeds and Gurugram-based 1mg. A number of startups in the online drug delivery segment are awaiting the final notification of the draft e-pharmacy rules, which are anticipated to arrive after the ongoing general election. The rules are expected to rev up growth in the sector by finally giving it legitimacy.